To follow the Coshocton County Heritage Quilt Barn Trail is to connect with past times. Every pattern records a family history through the reproduction of old quilt squares and stories told in memory of those who worked to create them. Painting quilt squares on barns started in 2001 when Donna Sue Groves painted her mother’s favorite square on their tobacco barn in Adams County Ohio. 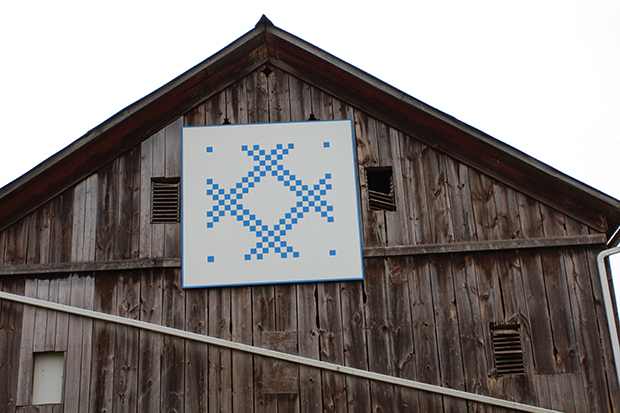 An astonishing 6000 + squares have followed in 33 Ohio counties, 45 states, and into Cananda creating Quilt Barn Trails that have inspired countless folks to explore our agricultural landscape. The Coshocton County Heritage Quilt Barns tell a local history through the reproduction of old family quilt patterns and family stories.